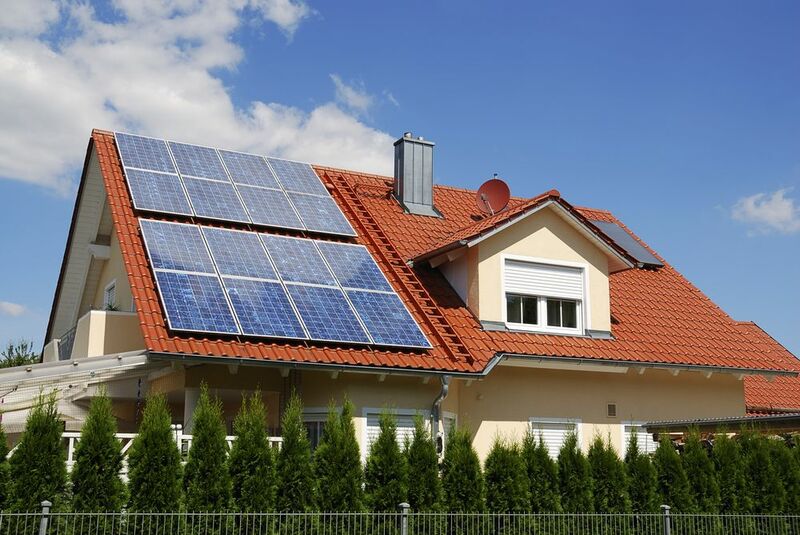 Is Net Metering a Net Benefit or a Net Cost? The historical utility business model is for utilities to build large power plants at remote locations, build transmission lines to transport it to load centers, and build distribution lines to distribute the power to end-use customers. Under this model, utilities create profits by earning a “fair” rate of return on capital investments and often can boost their earnings a bit by selling more power than forecast between rate cases. This model worked pretty well for most of the 20th century and didn’t get much attention until the rate increases associated with expensive new power plants and fuel cost increases in the 1970s. At that point, interest in exploring alternatives lead Congress in 1978 to pass the Public Utilities Regulatory Policy Act (most commonly called PURPA). PURPA required utilities to buy power from certain non-utility generators at the utility’s avoided cost of power. Over time the law led to the emergence of customer-owned renewables, cogeneration, and independent power producers. Now the rapidly dropping cost of customer-installed photovoltaic solar (PV) systems is raising the possibility that some utilities may see their traditional business model fall apart as they grapple with issues such as net metering. While PURPA was a federal law, it left implementation up to the state legislatures and regulatory commissions. So each state defined avoided costs and other details differently. One key issue is how to pay customers who install their own generation such as photovoltaic solar (PV) and then wish to sell excess power (meaning power not consumed internally in the facility) back to the utility. For small renewable installations, many states implemented net metering. Net metering is an electric billing methodology that allows eligible customers with distributed generation to sell power back to the grid when generation exceeds internal usage. These customers receive credit for that power to offset purchases of utility power used during times when the customer’s generation is insufficient to cover all loads in the facility. In essence, customers are paid the retail rate to sell power to the grid. 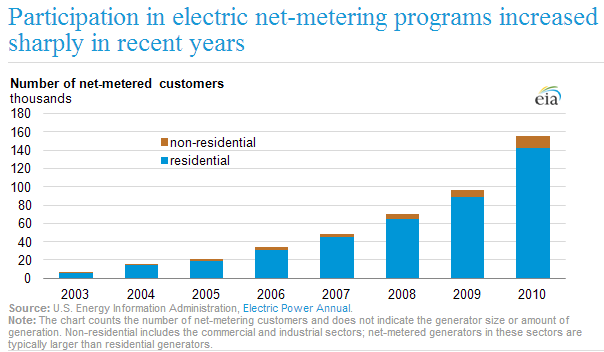 In essence, net metering sets the buyback rate at the customer’s retail rate. In the early years of solar PV, state regulators often justified this by saying that solar was new and needed help getting started, that there were benefits to solar but it was too soon to be able to quantify them, and that the amount of solar is so small it doesn’t matter much. But now that solar PV is growing and has the potential to grow significantly more, utilities and regulators are struggling to determine what is or is not a fair way to handle net metering. Advocates for solar power argue that changing the rules will deter further growth and accuse utilities of wanting to discourage solar power to protect utility profits. Utilities and some customer and traditional generation groups counter that net metering customers are using the grid without paying their fair cost. It will be up to the regulatory commissions around the country to quantify benefits and costs of customers with PV systems connecting to the grid and, based on this, determine what is fair. The Rocky Mountain Institute reviewed 15 studies of the benefits and costs of distributed PV and found widely varying results. A key issue was distributed PV can offset transmission and distribution system investments. Debates over attempts to quantify benefits and costs are currently ongoing in numerous states including Arizona, California, Colorado, and Ohio while regulatory commissions in Idaho and Louisiana have recently ruled against utilities in attempts to change net metering. It will be worth watching how remaining proceedings around the country play out as it will directly affect the business future of both utilities and PV solar companies as well as future opportunities for consumers to economically generate their own power. This entry was posted in Electricity and tagged Electric Utilities, Electricity generation, Electricity Training, Energy, Net metering, Photovoltaic system, Solar Power. Bookmark the permalink.